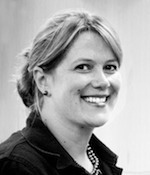 Sarah joined the EURIM team in 2010. As Deputy Secretary-General of the DPA, Sarah assists with events, industry/member liaison along with providing day-to-day support in the running of the organisation. She is a self-employed consultant and events co-ordinator with experience of both Westminster linked groups and business with interests ranging from Europe to space and technology. Previously, Sarah worked as a Political Assistant for a Member of Parliament, was involved in several leadership campaigns, General Elections and participated a number of campaign organisations. In her free time, Sarah enjoys spending time with her two lively boys, volunteering at her son's school, watching Madam Secretary, and drinking a nice glass of vino - but not necessarily in that order!